This season Siesta Key real estate was very active. Many buyers of real estate on this key have been visiting the area of decades. Through the years, some people stay at the same condo complex over and over. The dream of owning a Siesta Key condo is vivid! Now they are realizing their dreams of owning Siesta Key real estate as prices are affordable, interest rates low and the selection outstanding. 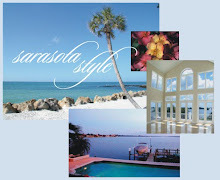 We've been searching the Sarasota MLS daily for waterfront Siesta Key condos either on the beach or the bay. The beach wins if our buyers plan to rent. One of the first things a vacationer who is renting asks is "how far is the condo from the beach." The boating and water sports activity on Sarasota Bay is interesting so if our buyer plans to use their new condo as a first or second home, then possibly the bay will win. Many Bayside condos on Siesta Key have beach access across the street. Summer Cove on Siesta Key is a beautiful new complex on the grounds of the old Summerhouse Restaurant. The property is well developed and the restoration of the Restaurant into a Club House for residents is outstanding. A contemporaray style Siesta Key condo, Crescent, is one of Siesta Key's newest beach condominiums. Built in 2006, there is an on-site management staff positioned to handle weekly rentals. This building is excellent for buyers searching for good rental potential. It's right on one the world's best beaches and from the South Bridge Sarasota's mainland is easily accesible. If you are searching for a condo on Lido Key, Siesta Key or Longboat Key, we cover all the Sarasota Keys. We want to help so call Annette Smith at 941-504-3922 or email Annette for a prompt response. 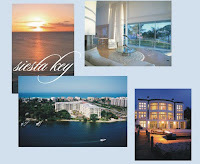 We show Siesta Key real estate regularly as well as downtown Sarasota.